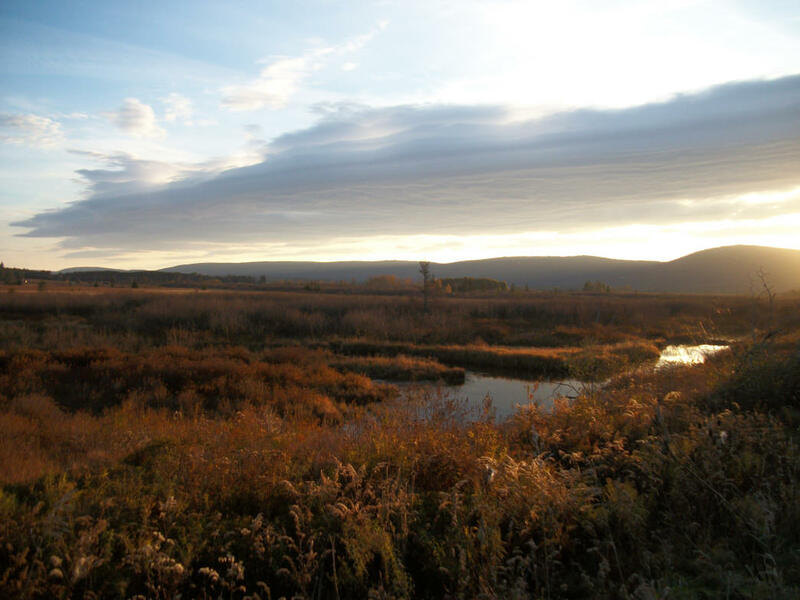 Canaan Valley Resort State Park offers several beautiful views, such as this cool, autumn sunrise. Although several trails pass through wetland areas, there are also plenty of woodland trails perfect for running as well. Quiet and scenic, the 18 miles of trails here give runners of all abilities the perfect place to find peace while getting in a quick workout. The longest trail in the park is the 3-mile Black Hollow Trail. All others are less than 3 miles, and most are less than 2. However, many of the trails are interconnected and can be combined. Most of the trails are good for beginners because they are pretty easy to navigate, but a few have more difficult sections and cross several streams. The most difficult trail in the park is the Bald Knob Trail, with an elevation of 4,308 feet. On average, most trails take less than an hour to complete. The more difficult trails, like the 2.5-mile Bald Knob Trail, can take longer depending on your experience level and weather. 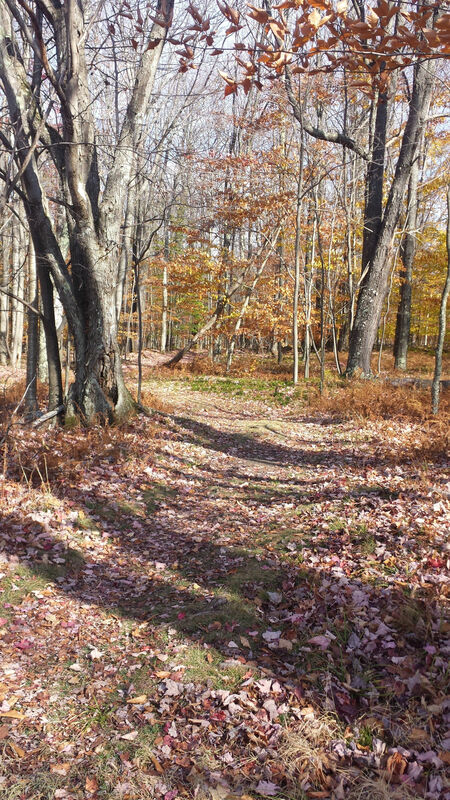 Although trails in the park are open year-round, damp fall conditions can make the ground slick with fallen foliage, and winter weather can make trails slippery and difficult to follow, with higher elevations becoming dangerous to explore. Nestled high in the Allegheny Mountains, Canaan Valley Resort State Park is in scenic Tucker County. It’s the highest elevated valley east of the Mississippi River, with an average elevation of 3,200 feet. Home to wetlands and unique plant life not often found in the eastern United States, the park has more than 18 miles of marked trails that you can hike or run year-round, but because the valley gets quite a bit of rain, trail surfaces may often be wet or damp. The variety of trails and range of difficulties makes this a great place to trail run. You can choose the relatively easy Blackwater River Trail, a 1-mile loop that passes along the headwaters of the Blackwater River. It has a few narrow sections scattered with tree roots that add a bit of fun to the run. Run just the loop or connect to the more difficult Bald Knob Trail, which takes you up 4,308 feet through meadows to the top of Bald Knob. Each trail is marked with a different color, making them easy to follow. The scenery along the trails is beautiful and diverse—views of the valley from the ridgetops, open-air in the meadows, and unique plant life in the wetlands. The interesting turns and twists along the way will keep you motivated to see what’s around the next bend. If you’re looking for a getaway with a relaxed running atmosphere, this may be just the spot. The trails are quiet and offer scenic views through forests, meadows, and wetlands, giving runners of all abilities the perfect place to find peace while getting in a quick workout. Families and groups will love the variety of terrain. The Canaan Valley Resort State Park is located at 230 Main Lodge Rd., Davis, West Virginia, 26260. Get directions and more information at canaanresort.com. Parking is available throughout the park at the Main Lodge, Nature Center, Ski Area, Golf Clubhouse, and Recreation Building Parking Lot. Park hours are 6am to 10pm daily. Canaan Valley Resort State Park follows all West Virginia state park regulations, including a “Leave No Trace” mentality. Do not approach or feed wildlife. Stay on marked trails and carry a flashlight past 4pm from May through September, and past 3pm from October through April. Be prepared for wet or damp trails throughout the year when precipitation is heavy. Canaan Valley Resort State Park, 230 Main Lodge Rd.